Many of my clients ask me about the perfect time to buy or sell, and now that we are in the beautiful Fall season, I've been getting even more inquiries. The Colorado housing market has been strong this year with steady price increases in a number of communities and relatively low inventory to meet the buyer demand. Now that fall has arrived, some homeowners may believe that they have missed their window of opportunity to sell and that they should wait until next spring. 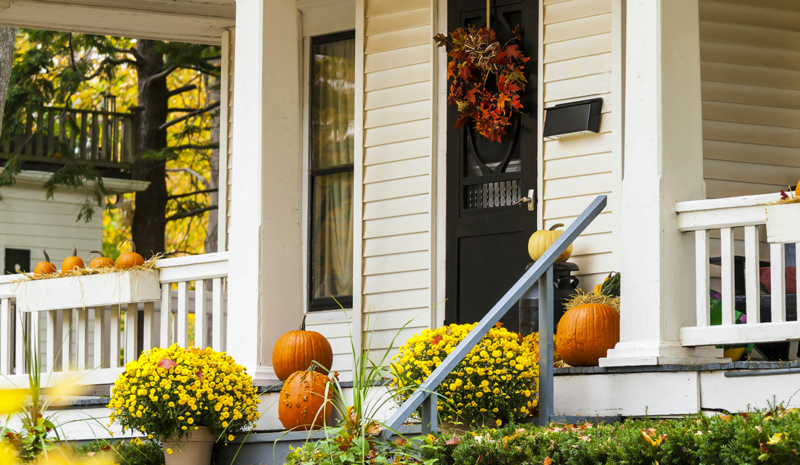 Contrary to what some people believe, fall may actually be a very good time to list your home. Although many people think of spring and summer as the prime home-buying season, autumn may be one of the best seasons to sell. That may be particularly true this year given the fact that this has been a seller’s market in many areas. Sale prices are still climbing in Colorado as compared to last year, open houses have been well attended and some properties are seeing multiple offers and sales above the asking price. More time to focus on home shopping. Buyers have returned from their summer vacation, children are back in school, and the holiday season isn’t upon us yet. That all adds up to the next couple of months being a good time for buyers to focus on finding that special home. Continued demand from buyers. As anyone who’s followed the news this year knows, there have been more buyers than sellers for homes in much of Colorado. That trend has kept sale prices climbing in most areas and brought lots of potential buyers to open houses. Pending home sales are up. The index of pending home sales in the western U.S. in July (the most recent figure available) was the highest it has been in more than three years, according to the National Association of REALTORS® (NAR). Lawrence Yun, NAR’s chief economist, attributes the increase to stronger labor markets. “Serious buyers” in the market now. During the fall months, there tend to be fewer people who are “just looking” than in the spring and summer and more serious buyers. These are often people who must buy for specific reasons, such as employment relocation. As a result, they are more likely to act quickly when they find the right property. A lack of available inventory. The number of listings has been relatively low all year compared to historical averages, in many cases half of a normal market. In the fall, there typically are even fewer homes for sale than other times of year, meaning less competition and more potential buyer attention for your listing now. Great natural “staging” this time of year. Fall can be a beautiful time of year to showcase your home, with the leaves turning fabulous colors and the summer heat giving way to cool crisp days. But it’s important to keep up your home’s curbside appeal as the weather changes by keeping landscaping trimmed and cleaning up fallen leaves and other debris. While fall is not always considered the typical home-buying season, there are a lot of advantages to listing your home now – especially at a time when others might shy away from selling. But like any other time of year, it’s important to price your home properly, make it look its best, and have a strong marketing plan in place to reach potential buyers...and I am definitely here to help with all of this and so much more! These are just some of the reasons why it’s more important than ever to work with an experienced professional REALTOR®. I can help you determine the appropriate price ­based upon recent comparable home sales in your area and put together a marketing strategy that will help make your home stand out from the rest - just ask! With a few simple steps and the help of a professional REALTOR® like myself, you just may find that selling your home this fall may be the best move you’ll ever make.